Madison bed and breakfast travel guide for romantic, historic and adventure b&b's. 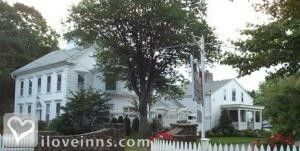 Browse through the iLoveInns.com database of Madison, Connecticut bed and breakfasts and country inns to find detailed listings that include room rates, special deals and area activities. You can click on the 'check rates and availability' button to contact the innkeeper. Madison is a town that is part of New Haven County, Connecticut. What makes it famous is that it has in its vicinity the longest public beach in the entire state, Hammonasset State Park. 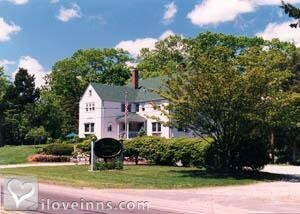 A number of Madison bed and breakfast inns operate near the beach, making it very accessible for its guests. Another popular site in the town is Surf Club Beach. Book lovers will have a grand time at Scranton Library, which is close to the center of Madison. For those who would like to go shopping for women and children's shoes, Anna Mia's is the option. Other interesting shops are Foxglove and RJ Julia Booksellers. Madison Cheese, Etc. is a shop that specializes in cheese of all varieties. This is also a favorite destination of the town's visitors. Its historic sites include Hammanasset Paper Mill Site, Madison Green Historic Site, State Park Supply Yard, and Jonathan Murray House. By Tidewater Inn. There aremany fun things to do in Madison, Connecticut - Browse the unique shops of Main Street, explore historical sites or get out and enjoy the natural beauty of the area.SHOPPING IN MADISON, CTEnjoy a day spent browsing the shops of Wall Street and Main Street in Madison, Connecticut - Here you'll find the heart of Madison with a beautiful town green and dozens of boutiques, art galleries and restaurants. Be sure to stop by the outdoor farmer's market on Friday afternoons or dance the night away during one of the Concerts on the Green throughout the summer. Consider The Guildford Green or discovering the great deals to be found at Clinton Crossing Premium Outlets or Tanger Factory Stores in Westbrook, Connecticut.THINGS TO DO IN MADISONTry a game of bowling at Saybrook Bowling Alley or charter a dinner cruise or fishing expedition. Additionally, Madison Racquet Club is open to guests for a fee and features facilities for tennis, paddle tennis and swimming pooll By Madison Beach Hotel.